What is the Autoimmune Protocol, Autoimmune Paleo or AIP? If you haven’t already, please read What is Paleo before jumping into this autoimmune paleo article. One builds upon the other so it’s important to understand paleo first. When I was first diagnosed with Crohn’s disease, my doctors did not mention that what I had was an autoimmune disease. I found this out on my own as I researched natural ways to deal with the disease. My husband has Type I Diabetes (this used to be called Juvenile Diabetes). For many years the cause was not known, or at least there wasn’t a consensus as to the cause. Now scientists and doctors agree that it is autoimmune in nature. So in my house, we are heavily invested in the autoimmune diet. Thankfully, I had a year to adjust to paleo before realizing I really needed to be following the autoimmune diet. Sometimes you will see this referred to as an anti-inflammatory diet, autoimmune paleo diet, autoimmune protocol, AIP or an elimination diet. You need to read the details of each in whatever source you’re using, but generally they all mean basically the same thing. I highly recommend you read this book by Chris Kresser which contains very understandable information about how to go through an elimination diet with the goal of figuring out what works best for your body. 1. You should not have to exclude all these foods forever. The whole point of an elimination diet is to learn what you can safely add back in. This too shall pass, though admittedly, it may not feel like it at times. 2. I am here to help you! It’s ok to complain because it does stink to have a disease and have to live with limitations. My goal is to give you really creative recipes that make you forget your “safe” food list is so short. Each of these sites has been valuable to me in one way or another and I still read them regularly today. 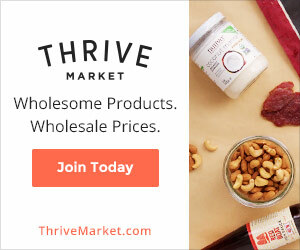 If you ever want to know the why behind something paleo or autoimmune, I recommend you visit their sites for all the in-depth science details, particularly Chris Kresser and The Paleo Mom. If you have questions about this, please ask in the comments. If I can’t answer you, I’ll point you in the right direction.